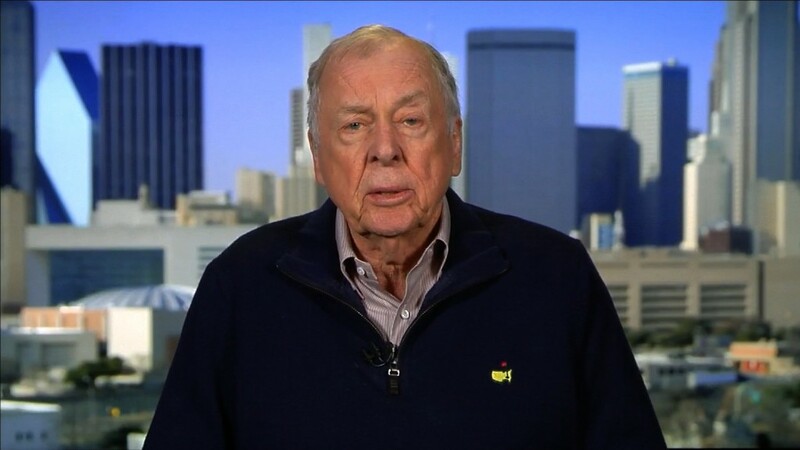 Not even T. Boone Pickens, the quintessential oil man, thinks oil is returning to $100 a barrel any time soon. Sure, oil prices have staged a remarkable comeback in recent weeks after crashing to a 13-year low of $26 a barrel in February. "It'll be a long time until $100 oil returns," Pickens told CNNMoney. He said oil could end 2016 at $50 to $60 a barrel but won't return to triple-digit territory until 2020 -- or later. The billionaire oil tycoon said that's because $100 oil would lift gasoline prices above what consumers can handle. "At $3 a gallon, you start to kill demand," Pickens said. He added half-jokingly: "At $4 a gallon, you start getting investigations in Washington." Still, Pickens insists oil prices are "coming back" in part because the number of U.S. oil rigs in operation has plunged from 1,600 in October 2014 to just 343 now. "You may never get back to 1,600 rigs," he said. Of course, lower American output is exactly what OPEC wants. The oil cartel, led by Saudi Arabia, has refused to cut production to ease the glut. But that's fine with Pickens, who said "the United States does not need OPEC" because American production has more than doubled, diminishing the oil cartel's influence. The oil tycoon also weighed in on the 2016 presidential election. Even though in the past, Pickens has seemed to suggest a distaste for political outsiders, he said he would "enthusiastically" support Republican frontrunner Donald Trump should he become the nominee. Pickens, a staunch Republican who donated to Jeb Bush before the former Florida governor stepped down, said Trump would be "vastly superior" for the oil industry than Democratic frontrunner Hillary Clinton. "She'd be vastly superior for Goldman Sachs," he said, referring to her ties to Wall Street. No matter who the next president is, Pickens believes that energy is the best way to boost growth and pay down the national debt and the next president needs to embrace that. "We have the cheapest energy in the world in America. Cheap energy trumps cheap labor," Pickens said.